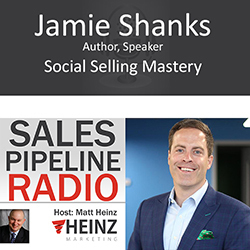 Social Selling Mastery Tips from Jamie Shanks. 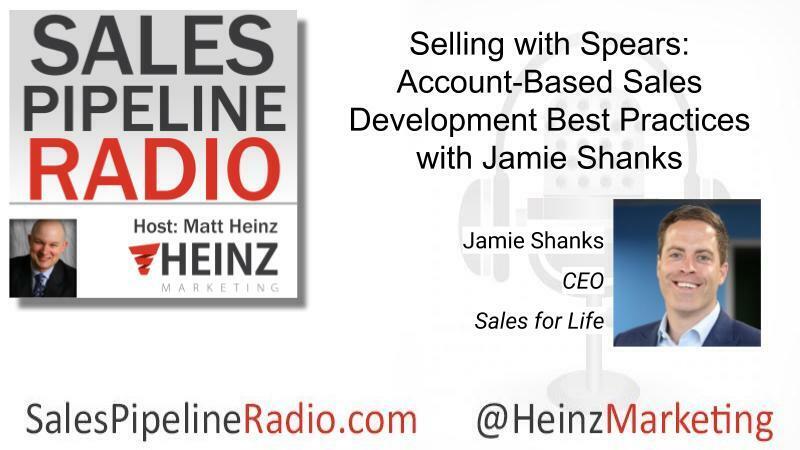 Our guest, Jamie Shanks tells us he was doing Sales 2.0 and went BK doing so. He needed to change with the buyer and he was missing that step. Social Selling became a survival mechanism. He reversed the selling process to leverage social media. That's how it started. Matt asked, "What is your definition of social selling in late 2016 and what does it mean for professional sales people?" Jamie asked us to picture three circles, like a Venn diagram. The intersecting middle is what social selling is. Conversion of those three processes is what social selling is. His new book is Social Selling Mastery and is available on Amazon. It has become a go-to resource for social selling. Matt asked if Jamie still sees the companies that continue to block social media sites in house and see it as a distraction. REALLY? That still goes on? You may be surprised at Jamie's answer. You'll have to tune in to hear his observations. "I get that we have those tools and that they can amplify our messages and brand to our customer..."